Oxford resident Hugo Manuel, better known by his alias Chad Valley, has been dazzling ears and taking listeners to colorful lands surrounded by lush atmospheres ever since his debut self-titled EP was released two years ago. 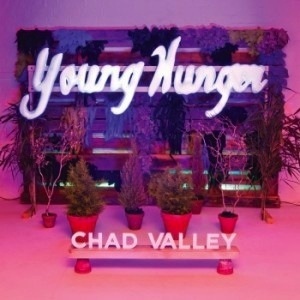 Well this time around, Chad Valley has decided to step outside of the bedroom and instead go into the studio for his first full length, Young Hunger, and let us say that the end result is something absolutely magical. The opening track “I Owe You,” which features vocals from Twin Shadow, overflows with pure pop bliss and its catchiness is carried along throughout the entire record. It’s evident from the start that Valley has come far from his chillwave driven beginnings and though he’s taken a slightly different direction with the album, the undeniable charm that’s been with him since his debut still shines through. With its shimmering, upbeat nature and tropical undertone, “My Girl” is a slight throwback to earlier Chad Valley and it’s a track that you can’t help but to dance to. “Young Hunger” on the other hand has a heavy ’80s influence. When we heard it, we immediately felt fly and wanted to throw on a leather jacket and walk down the street snapping our fingers. It isn’t too much of a surprise to us that we love Young Hunger as much as we do, and once you hear it, we’re sure that you’ll grow to feel the same.